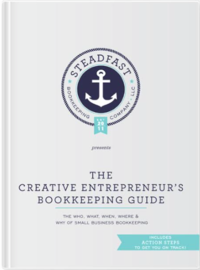 What is bookkeeping & do you need to do it? In the last few blog posts, I talked about things like what you can expense, what softwares I recommend and even what your cash flow is telling you. Now, I want to really dig into who needs bookkeeping and what is bookkeeping anyways? In the next few emails, we’re going to talk about what you need, how to accomplish it, the difference between a Bookkeeper and a CPA and much more so stay tuned! While this is not an exhaustive list, it should give you a good idea of what your needs are as far as Accounting goes. You can also download our Bookkeeping Checklist here if you haven’t already and that will give you even more specifics of what needs to be done and when to do it. In the next blog post, I’ll be defining the difference between a Bookkeeper and a CPA and outlining who handles the tasks above! « What is your Cash Flow Telling You?